Thread: How many Delorean owners have been on Instagram? Also, sigh... this was just yesterday. Does some idiot fall for this every single day? Never underestimate the number of idiots. I see that picture constantly on Tumblr. And yes...every. single. day. Took me a minute, but well done. And before you say anything, yes I'm close to the truck (he was poorly parked, not me), but the angle makes it look much worse then it really was. Still waiting for my D to show up on Instagram. Even though just last Sunday I saw two guys stop in my sideview mirror to take pictures before zooming past, apparently no one in my area uses it. Or even the internet in general for that matter (nothing on Google Images either). That was me on FB that said something (: . 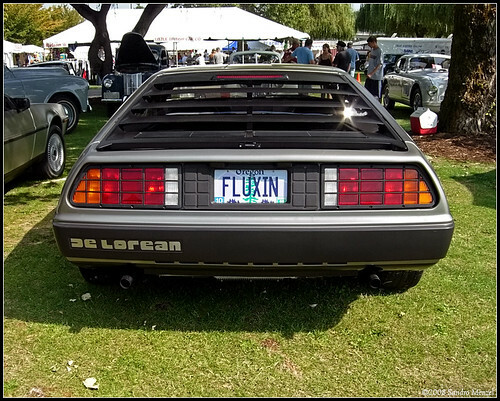 Figured I'd say hi here too :P.
This appears Jacko's Delorean (forum member). I watched this photo being taken yesterday while traveling back to work after lunch.